Why go? Croatia has just joined the EU and its appeal to British travellers is growing fast with visitor numbers up by 25% in the first six months of this year. Unspoilt by mass tourism and less crowded than Split, Istria is a good region to head for. 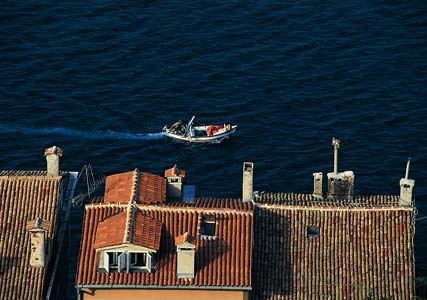 The delightful coastal town of Rovinj was once part of the Venetian empire and has the narrow, cobbled lanes and colourfully painted houses to prove it. Perfect for a relaxed and affordable getaway, this car-free town is set in a scenic area with gorgeous sandy beaches, friendly locals and fabulous food. When? May to September is the main season, when it is also hottest with temperatures hitting an average high of 27°C. 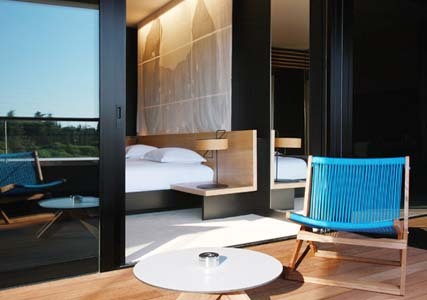 Stay at: Billed as Croatia’s first design hotel, the five-star Hotel Lone (lonehotel.com, doubles from £215) is a ten minute walk from the centre of Rovinj and surrounded by the luscious woodland of the Zlatni Rt Forest Park. 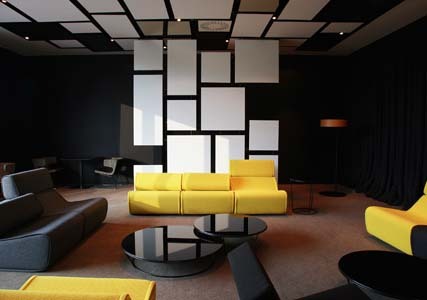 It’s unusual and striking décor was designed by the Croatian architectural practice 3LHD, with a minimalist, monochrome interior reminiscent of a luxury ocean liner. It feels very chilled and you can catch some rays sunbathing by a splendid new three-pool outdoor area that has just opened, then let off some steam dancing in the hotel nightclub. The 248 rooms, which look out across the bay or forest, start at £110 including breakfast, wifi, and access to the spa. This has an indoor pool, hydro pool and sauna, as well as a selection of stress-busting treatments – try the 60 minute ocean mud treatment (£62). You really must… Head into the old town to have a drink overlooking the harbour – try some Istrian white wine mixed with sparkling water for a refreshing tipple on a hot summer’s day. You should also seek out St Euphemia’s Basilica, a baroque church perched on a hill in the north west of town. For £2 you can climb up its 60m bell-tower to admire the fine views. The best way to explore the nearby woodlands is by horse – two hour treks, which are suitable for beginners, can be arranged at Moncerlongo Ranch (moncerlongoranch.com). Further afield, you can visit the pretty hilltop towns of Motovun and Groznjan, and admire the World Heritage-listed Byzantine mosaics in Poreč. During the summer season you can also take a day trip to Venice (a two hour voyage) for £60 return (venezialines.com). Dine at: Hotel Lone’s three eateries serve good food with L, its fine dining restaurant, the highlight. Try the crispy pork belly or sea bass baked in paper, then finish off with some sweet apple trifle with Calvados cream. Wash it all down with some Istrian Malvazija and Zigante wines. The wine vault at its sister property, Hotel Monte Mulini (montemulinihotel.com), is another top dining option and serves a fusion of French and Mediterranean cuisines. In the old town, Kantinon Tavern (Obala Alzo Rismondo 18) is a must for seafood fans, with octopus salad and gilt head seabream the star dishes on an uncomplicated menu. For a taste of traditional Istrian cuisine, take a 30 minute drive out to Mofardin (mofardin.hr), a restaurant set on a working farm, where you can try typical dishes such as maneštra (a traditional vegetable soup) and kokoš pod pekom (chicken marinated then slow-cooked with roast potatoes), while admiring live deer and locals performing Croatian songs. Bring home: Local specialties include olive oil and truffle oil, which you can buy at Rovinj’s lively open air market. With a bit of haggling, expect to pay around £3, or £15 respectively, for a 500ml bottle. Also check out Hotel Lone’s design store which sells quirky necklaces, tote bags and clothes. Book now: Ryanair (ryanair.com) flies from London Stansted to Pula from £80 return including taxes and fees. The drive north to Rovinj takes about 40 minutes, so you’ll need to hire a car (rentalcars.com) or book a transfer via your hotel. Info: Croatia (£14.99; Rough Guides) is a comprehensive guide, or see croatia.hr and tzgrovinj.hr.